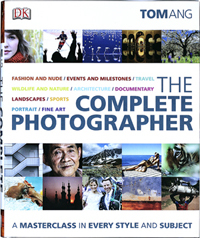 On August 2nd, 「The Complete Photographer」, written by Tom Ang was published from Dorling Kindersley Books, Penguin Group in England. Akira KAI, foton Inc CEO, is presented as one of twenty superlative photographers, selected from all over the world. There are ten different genres and each one presents two photographers. Akira KAI is in the fine art photography category. He is the only photographer from Japan. copyright Akira KAI all rights reserved.